The identification of early biomarkers for severe diseases by noninvasive methods is very important but demanding. In this regard high-content peptide microarrays provide a very efficient tool for antibody biomarker discovery from sera. 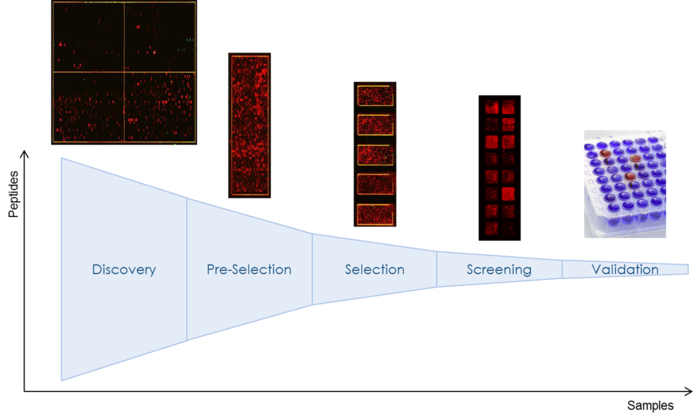 The flexibility of the PEPperCHIP® platform allows the step-wise screening from e.g. 35.000 peptides for hit discovery down to handful peptides for hit validation.